Declawing Cats Ban will bring a good result. Declawing is such a painful process. It very shameful that we humans are treating our cats like this. Taking off the nail from our sweet furball is an unthinking process. 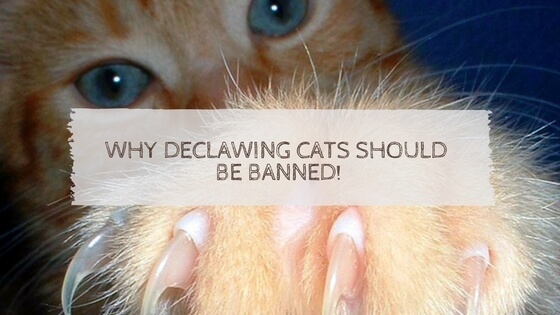 The act of declawing cats has been banned in over 20 countries around the world. And, In the US the first state to ban, this such cruel act is going to be ban in New Jersey. Any such case, the consequences of the declawing of cats will be paying a $1000. Otherwise, spending 6 months in jail. 1.8 What Are Your Views On Declawing Of Cats? Some people might find it convenient to declaw their sweet furball. So, they won’t scratch their furniture and hurting anybody. What peoples don’t want to understand is that this a very painful procedure. Try to imagine yourself instead of cat in such a process. If you are removing their bones from their paws by doing a surgery. A permanent nerve damage can occur to cats. By the way, Declawed cats also tend to be more aggressive. The opinions about this law are quite mixed. 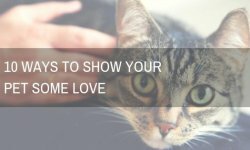 Some people believe that this can lead to a lot of owners giving up on their cats. Scratching is a normal behavior for a cat. My cat like scratch wooden pile all the time, whenever she use to sits on it. It’s for them is marking territory, so location is the key. So, first learn where your cat is scratching. And check what they are scratching. And then you can put a scratching post in that area. You can trim your cat’s nails. Reward good behavior with catnip and treats. You can use double-sided tape on furniture. Get vinyl nail caps that glue on to your cat’s existing nails. As Cats awake from the surgery, they are in very much pain. And the pain continues afterward also. Even, Nails can grow back inside the paw. This can cause extreme pain that you can’t see. Declawing cats stop them doing their work. They are more likely to keep doing their work marking the territory. Without the claws, It becomes worse than before. Even house-trained cats might start going outside the litterbox. And They will attempt to mark their territory. There is a growing number of people in the US are against Declawing cat. This is such a cruel painful act. But, it is still not Illegal in Canada. Most of the veterinarians are against it. Some still allow to do it. You cat have to go through numerous amount of pain before and after the surgery. Veterinarians do not call it declawing anymore. It is like you’re removing their knuckles. A lot of people are against this. Nearly two dozen countries banned it. They are including Australia, England, and Japan. The ban or severely restrict declawing surgeries. And there are many veterinarians in the United States refuse to perform this procedure. You can trim your cat’s nails regularly. When the cat is relaxed and unafraid. You can gently press on his or her toes. So, the claws extend. Use a pair of nail clippers. And cut only the tip of the nail. But, taking care not to damage the vein. Or “quick.” The nail hook is what tears upholstery. So removing it virtually eliminates the potential for damage. You can buy multiple scratching posts for your cat. You should have two or more scratching posts in your home. Make sure that they’re sturdy and tall. 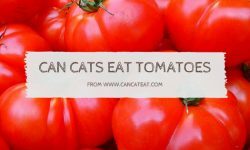 They are enough to allow your cat to stretch 3 feet and taller. Soft, fluffy carpeted posts won’t fulfill your cat’s clawing needs. So You should look for rougher posts. You can teach your cat where to scratch and where not to scratch. And, You can encourage your cat to use the scratching posts. And sprinkling catnip on the posts once a week. Discourage your cat from scratching furniture by using a loud sound, firm voice. Whenever he or she starts to scratch odd places, You can make loud noises —cats don’t like loud noises! Never use physical force. Instead, you can try using a squirt gun full of lukewarm to scare your cat with the water directed at your cat’s back. 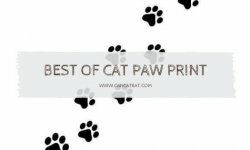 What Are Your Views On Declawing Of Cats? Spread the message around the globe. And let people know that declawing of cats is considered as animal cruelty. This is totally torturing your cat or pet. They go through extreme pain through this procedure. Leave comment to share your view.